Yellow melon beads, China or Venice. Wound glass, Late 19th century, 26" (66 cm) long as strung, 29 beads. 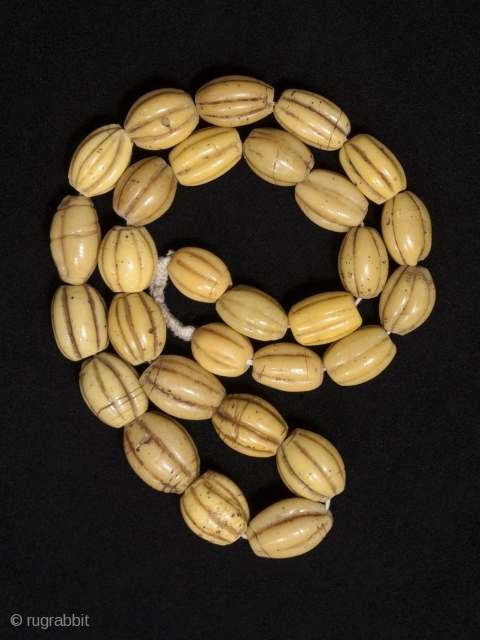 These beads are found in Irian Jaya and used as bride price. 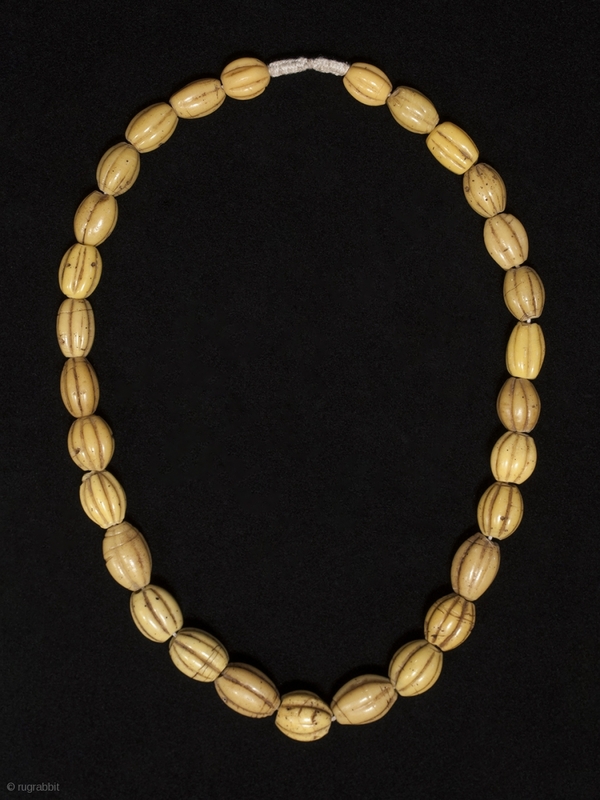 From Robert Liu's book Collectable Beads, p 92, "Glass beads from Irian Jaya are most likely Chinese, although few such beads have ever been found in the People's Republic of China. These beads are supposedly used in bride purchases."